Jazib Zaman is the CEO and founder of WPArena, TechEngage, and many other exciting WordPress projects. Some of them include developing themes, plugins, and running popular technology blogs. Jazib is a seasoned business owner when it comes to producing content, managing multiple projects, and strategizing how to successfully monetize websites. You can find Jazib on Twitter and LinkedIn. This is our recent interview with him, as part of our Kinsta Kingpin series. Other than my master’s in International Relations, software development is my passion. I believe in the philosophy of doing something valuable for society. These values that I have set for myself encourage me to contribute more and more to the betterment of people. When I got to know about the open source WordPress community back in 2006, the possibilities of sharing the benefit with the world motivated me to jump right into this business. It encouraged me to work for the community, as I can help a lot of people using the platform. Ever since then, I have never looked back. 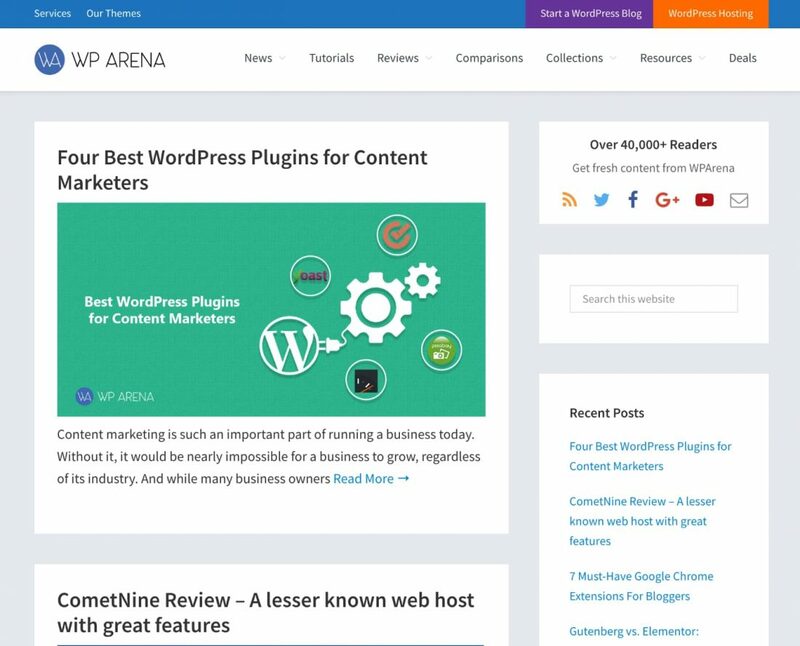 WordPress is becoming much more than just a content management platform. The Gutenberg editor update has landed, and it will change the way websites work. I am working on several exciting projects that users will find useful, like building themes on ThemeBounce.com, WPDesigner.com, and CTRSpace.com. I’m also involved in developing plugins on WPBanner and WPLocation. And if that doesn’t keep me busy enough, I’m also the founder of WPArena, WPDesigner, and WPOutcast (all three are renowned and authority WordPress tutorial sites). Another project that I’m passionately working on is TechEngage, a child company of TechAbout. This project is focused on the tech world. The biggest challenge that I faced was the lack of opportunities in my country. Thankfully now the trend has evolved and people are taking IT as a serious profession. Pakistan, where I was raised up, has a lot of issues regarding the unavailability of payment processors like PayPal. And to further the issue, the first ever WordCamp in Pakistan didn’t get going until mid-2018. A big thanks to the WordPress team for starting Wordcamps in our country! ? When I started working in this industry the infinite world of WordPress and its possibilities surprised me. The ability of the platform to encapsulate the whole website development process, in a nutshell, is impressive. It drastically eases the work for end-users building website and WordPress does it better than any other CMS. When I started getting involved in the WordPress world, I never knew that it would be this huge. It all depends on the website’s needs. For me, support, uptime, speed, and performance matter the most. If a WordPress host is not providing all of these, I will not use it. Kinsta has never disappointed me, and that’s why it’s my favorite WordPress hosting provider. I’m very close to my parents. Their love, support, and prayers are the reasons behind my success. When I’m not on my laptop, I prefer spending time with them, listening to their stories and mischiefs of my childhood. We share our experiences and laugh together. I would suggest Syed Balkhi (the founder of WPBeginner) for the next interview. Syed knows his way around the WordPress industry and is always sharing his experience with the community. I would love to read his interview and I’m sure your readers would also benefit from it.